We posted earlier that Jordan Brand is about to release three more colorways of the Jordan SC-1, which has been a fixture in their monthly shoe lineup. Included in the list a special edition of the kick that is obviously the “Los Angeles Clippers” edition of this high-top kick. Two JB models are playing for the Clippers, namely Chris Paul and Blake Griffin. 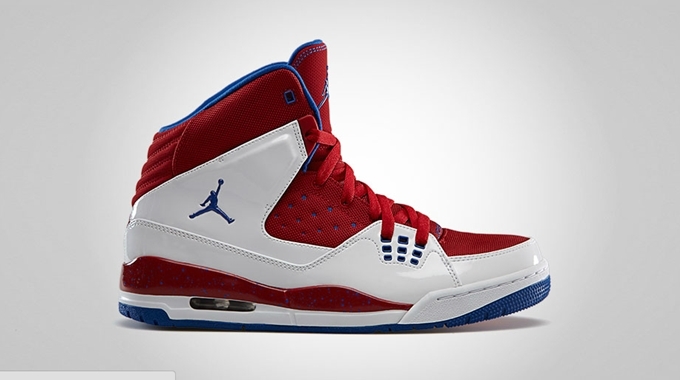 This kick, which is officially listed as the White/Game Royal – Gym Red colorway of the model, could be worn by Griffin in the upcoming NBA Playoffs because Paul has his own signature kick to boot. Make sure to watch out for this kick that is expected to hit the market anytime from now.